For years now, the Atomic Bent Chetler has been the go-to powder ski for a lot of playful skiers. However, it has always been a pretty wide ski, and was therefore best suited to deep pow and soft conditions. Now, for the 2018-2019 season, Atomic is making some pretty significant changes to the Bent Chetler, and actually expanding it to three models: (1) the overhauled Bent Chetler 120, (2) the kid’s Bent Chetler Mini, and (3) the all-new Bent Chetler 100. We recently checked out the new Bent Chetler 120, and so far, it’s proven to be a very interesting ski. Now, it’s time to take a look at its narrower sibling, the Bent Chetler 100. So Atomic is explicitly going for the one-ski-quiver category, which is not real uncommon these days. However, this Bent Chetler 100 is really unlike anything we’ve seen before. Unlike the Bent Chetler 120, the Bent Chetler 100 does not have a very symmetrical flex pattern. The tips and shovels are soft, but the rest of the ski is actually pretty strong. The flex pattern of the Bent Chetler 100 is actually pretty similar to that of the 18/19 Liberty Origin 96. We expect the Bent Chetler 100’s soft tips to allow for easy butters and nollies, but it seems like the rest of the ski should offer some pretty solid support. This is where things start getting more interesting. In terms of shape, the Bent Chetler 100 looks very similar to its big brother. It has a bit of taper in the tips and tails, but that taper is not very drastic. While the shape of the Bent Chetler 100 looks nearly symmetrical (about 10 mm difference between tips and tails), its rocker profile is more directional. It has pretty typical tip rocker for a ski of this width, and a nearly twinned tail with a pretty shallow rocker line. The Bent Chetler 100 also has a good deal of camber (5-6 mm), which is not all that surprising for a ski of this width, but it is quite interesting since the Bent Chetler 100 features Atomic’s powder-oriented “HRZN Tech” inserts in the tip and tail. So those 5-6 mm of traditional camber underfoot is that sort of thing you’d expect to see on a ski that’s trying to optimize performance on hardpack, but the boat-hull tips and tails are 100% intended for soft snow. So we’re curious to see where the Bent Chetler 100 feels most at home. This is another big surprise. While the Bent Chetler 120 has a recommended mount point of -2.9 cm from center, the Bent Chetler 100’s recommended mount point is a pretty traditional -7.8 cm from center. Even more interesting is the fact that the Bent Chetler 100 also includes lines from -4 cm behind the recommended line all the way to +6 cm in front of the line. (Is Atomic really inviting us to mount this ski anywhere from -1.8 cm all the way back to -11.8 cm?). That’s a huge range, so we’re interested to play around with the mount point and see just how versatile the Bent Chetler 100 is when it comes to mount point, skiing style, and stances. The most notable difference between the 18/19 Bent Chetler 120 and previous versions was the drastic drop in weight. The 184 cm Bent Chetler 120 came in around 1730 grams — several hundred grams lighter than previous versions. The Bent Chetler 100 is coming in at a more moderate weight of around 1820 grams — though that’s still pretty light for a “50/50”, one-ski quiver of this width. We’re actually struggling to think of skis that really seem like apples-to-apples comparisons to the Bent Chetler 100. And considering how many skis we’ve spent time on, that’s saying something. 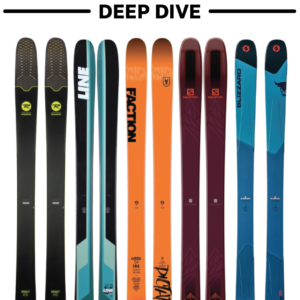 So here are a few skis we think might (maybe?) be good comparisons to the Bent Chetler 100, but we’re mostly just very eager to get on the ski to see what category it actually falls into. And while the 190 cm Raven has soft tips & shovels, it doesn’t have the pronounced butter zone that the Bent Chetler 100 has. And the tails of the 190 Raven flex pretty similarly to the Bent Chetler 100’s. The 100’s might have a bit more snap to them, but the stiffness is similar. And the Raven has a much straighter and tapered shape compared to the Bent Chetler 100. 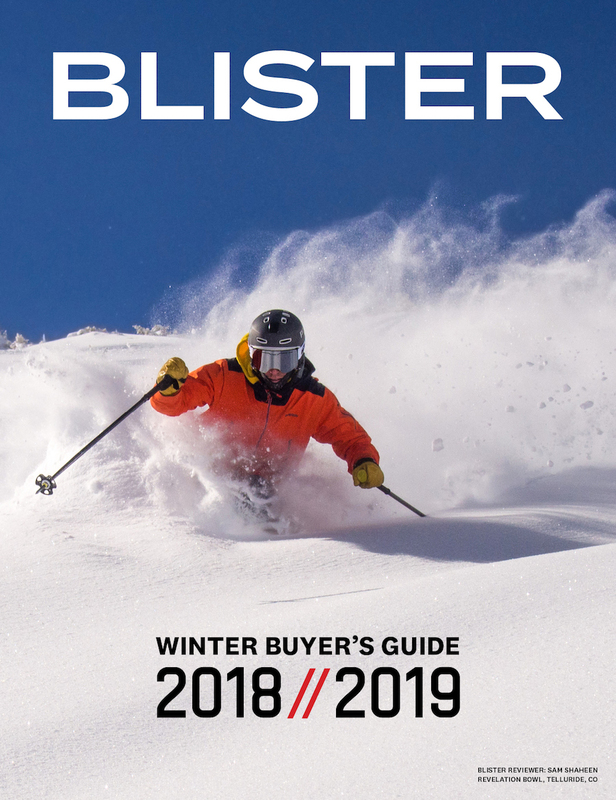 The 18/19 Origin 96 has less tip splay than the Bent Chetler 100, but this still looks to be a pretty interesting comparison given the skis’ fairly similar flex patterns. (The Origin 96 has been tweaked for 18/19, so we’ll be getting time on that ski soon, but you can also check out our review of the 17/18 version for a general idea of that ski). Despite its progressive -2.1 cm recommended mount point, the Sir Francis Bacon is actually noticeably stiffer than the Bent Chetler 100, and has deeper rocker lines. So should the same people be considering these two skis, or are they totally different? The Rustler 10 and Bent Chetler 100 share pretty similar mount points, shapes, and flex patterns. The Rustler 10 felt like a directional ski that was still fairly playful, so will the Bent Chetler 100 feel more directional? More freestyle? The Sick Day 104 and Bent Chetler 100 share similar flex patterns and weights, but they have pretty different rocker profiles and mount points. The new Atomic Bent Chetler 100 looks like an extremely interesting and surprising addition to the Bent Chetler series. This is not merely a slimmed-down Bent Chetler 120. We’ll be getting time on the Bent Chetler 100 soon, but in the meantime, let us know about other potential comparisons you’d like to see or anything else you’d like us to address in our full review. 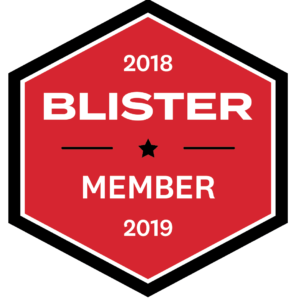 Blister members can now read our initial on-snow impressions in our Flash Review of the Bent Chetler 100. Maybe a Bent Chetler, PB & J battle. The Rustler 10, Liberty Origin, QST, etc getting to be a little heavy for an apples to apples weight comparison (theyre all bumping up against or over 2000grams i think) which opens the door to tons of other skis. The others you listed are all in the 100-105 width, soft tips with firmer backbone ski category, directional but tip and tail rockered, 1900 or less grams, and with the exception of the Raven, have camber. How about a comparison of this ski with the Nordica Enforcer 100? can we do touring with the BC 100? any advice? I’d say the Bent Chetler 100 is in the acceptable weight range for touring or 50/50 use, so we’ll be addressing this in our full review. krys, I do tour with Atomic Backland 102 (1950g/ski) with no problem. I use it in combination with Atomic Tour tech binding and Scarpa F1 (weird but true). And yes, this combo proved to work great (tested in Europe and Japan). When will be posted full review of Bent Chetler 100? We’re spending more time on the Bent Chetler 100 over the coming weeks in order to get it in more conditions and A/B it against some other skis, so I’d expect the full review to be dropped in a month, maybe two months at the latest. I’m wondering how the Bent Chetler 100 might compare to the ON3P Kartel 96. I assume the Kartel will have more tail rocker, but in regards to stiffness they might be in the same park. Since Atomic is putting such a wide range for mount points, it seems that depending on where you mount, you could set it up as a ski you can pivot and have it feel as though there is more tail rocker than what is actually there. How would you compare the 100 Bent Chetler to the Salomon Mtn Explore 95 for couloir skiing? I am not overly concerned with the weight penalty of the Cheater on the way up. That’s an interesting question. While I wouldn’t typically think of comparing the MTN Explroe 95 and Bent Chetler 100, I think I’d like both of them for couloirs. I think I’d take the Bent Chetler 100 in rougher, deeper, or more inconsistent snow since its extra weight, wider waist, and deeper tip rocker helps it stay a bit more composed in those conditions. But if things were really icy, I’d take the MTN Explore 95. I’d also take the MTN Explore 95 in *really* tight couloirs just since it’s a bit easier to flick around due to its lower weight (and it’s important to note that I’m comparing the 184 cm MTN Explore 95 to the 188 cm Bent Chetler 100). And if I were using the ski for couloirs in addition to skiing in the resort, or skiing a mix of pow, trees, hitting cliffs, etc., I’d take the Bent Chetler 100 for its better stability. Hope that helps, and let me know about any other questions. Yes super helpful. Thanks for all the information you and the rest of Blister puts out there for us. 188 is the way to go. Interesting review!! I know they’re widely different in construction, but how would you compare it to the Sakana? They are the two skis I’m looking at for next season for a 50/50 ski. Volkl 90eight is the only way to go IMO it’s a better ski!! Plus you can tour in it hit the steeps jack of all trades. Bigger tips play for powder and more power overall. Surfy but stable and a great tour and steep ski. What about comparison with Atomic Backland 102? I had a chance to ski on the Rustler 10 188cm and the Bentchetler 100 188cm (and the Rustler 10 180cm, more on that shortly) back-to-back on a moderately wind-affected powder day (read: highly variable conditions) at Treblecone yesterday. Despite similar dimensions and flex profiles, these two skis reward very different approaches to skiing any type of snow/terrain. To summarize my experience, the Rustler 10 maintains an outstanding balance between maneuverability and edge hold, but sacrifices chop-ability to maintain its effortless turn initiation. 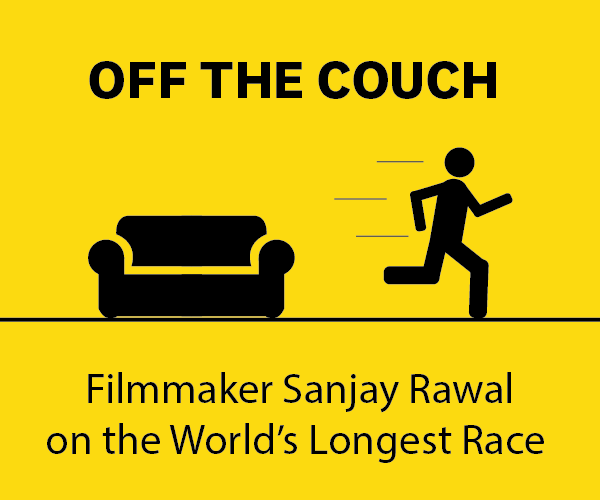 Very engaging and very fun, but not so stable at high speeds. The Bentchetler 100 sacrifices this effortless turn initiation for impressive chop-ability and easily transitions from wind-blown powder stashes to wind-scoured crud, which can be quite scary on the Rustler 10. For a quiver of one, the Bentchetler 100 188cm is more versatile. But if conditions are good (fresh to tracked powder or soft groomers), the Rustler 10 180cm (yes, 180, not 188) a bigger smile on my face. The 180cm length in the Rustler 10 compliments its ease of turn initiation and versatility of turn radius. Bentchetler 100 188cm for blasting chop/crud and versatility, Rustler 10 180cm for energetic turns and all-day smiles in good snow. IMO the Rustler 10 188cm just doesn’t make sense next to the 180cm. 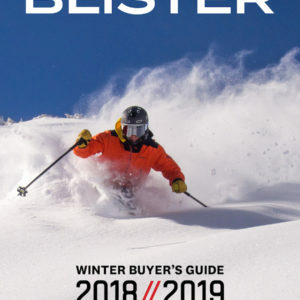 I am going to buy one of these 2 pairs of skis this year (Rustler 180 or Bent 188) and will have a very diffucult time deciding. Update: I skied on the Bentchetler 100 180cm today, an experience which had me questioning whether I’ll ever ski on anything else for the rest of my life. Ok, maybe that’s a little hyperbole but the Bentchetler 100 180cm strikes a divine balance between maneuverability, aggressive edge hold, and stability in crud. Nearly as maneuverable as the Rustler 10 180cm and much, much more stable. At no point throughout the day did I wish I was on a longer ski. For reference, over the past few years I have been skiing on the 2016/17 Navis Freebird 180cm, 2014/15 Blister Pro 188cm, 2012/13 Squad 7, and 2014/15 Black Diamond Carbon Convert, all skis which I have grown to love for their intended purposes. I have also spent a fair bit of time on the original Bentchetler (the one with tie-die bases and anime top-sheets), which I was never a fan of. While the Bentchetler 100 180cm may not be as light as the Convert or Navis, nor as stable as the Blister Pro, nor as floaty as the Squad 7, nor as “playful” as the OG Bentchetler, I am dumbstruck at how Atomic has achieved such a well-rounded balance of my favorite qualities from all of these skis with the Bentchetler 100 180cm. I would ideally mount these with robust AT binding such as the Kingpin 13 or Beast 14, and I’d be hard pressed to ski on anything else in any conditions, whether in-bounds or touring. If only they had a tail designed to be used with skins.. I’ll manage. I am having a hard time deciding between the 188 and 180 Bent Chetler 100. What is your mount point on the 180 length? 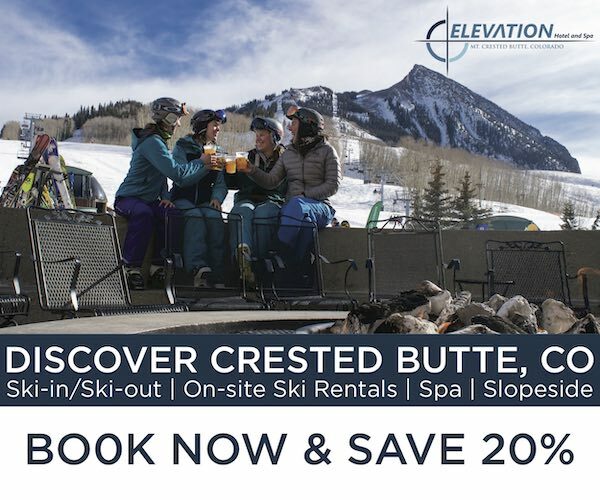 Mind sharing your weight and ski style? Based on your experience, If one were skiing mostly inbounds on hardpack and occasionally on soft stuff in side-country, would you still recommend the 180 or the longer 188? Chris’ name is “Benchetler”. That said, these 100s sound super fun. Can’t wait to try them. Ah, thanks for the correction. Just updated. How did it do in moguls? Due to its weight and flex pattern, I’d say the BC 100 definitely falls on the more forgiving and easy end of the spectrum in terms of mogul performance. It’s so light that it’s very easy to flick around, but its pretty solid flex around the bindings provided plenty of support for me (5’8″, 155 lbs). In really nasty, firm, off-piste snow it got knocked around significantly more than more directional, heavier skis. But if you want a ski that’s light, still fairly strong, but that will forgive mistakes, the BC 100 could be a good fit. It’s not very loose, so if you want a ski to pivot and slide through bumps, the Line Sick Day 104 might be a better choice. And if you really like to press hard into the shovels of your skis in bumps, you’ll probably find the BC 100 to be too soft. Hope that helps, and let me know if you have any more specific questions. How does it compare to the Salomon QST99 or 106? The weight is pretty similar and they do work as 50/50 skis too. Just bought the qst99 but didn’t mount my salomon shift yet. I’m pretty torn between the 180cm BC 100 and the 184 Fischer Ranger 102 FR. How would they compare? I like the idea of the little extra weight and stiffness on the 102 FR, but I’m not sure if it’s worth the extra money. Or if the rangers would be more fun. Is the Bent Chetler 100 basically a slightly updated replacement for the Backland FR 102 from last year? Dimensions and construction seem very similar. Anyone know how much difference there is in the handling of these two skis? How does it compare to Head Kore for freeride and touring use? Great review as always. I was wondering how you would compare this with the Salmon QST 99 and Fischer Ranger 98Ti? I’m basically looking for a 50:50 ski and ski mainly in Europe (France), gaining more exposure to off piste skiing and taking my first steps into some touring. I’d be putting a Shift binding and using Nordica Strider boots. I currently ski a 2015 Blizzard Brahma 173 (I’m 170cm and 90kg) and while I wouldn’t say I’m an aggressive charger type skier I find the Brahma’s stable, dependable, confidence inspiring and surprisingly capable off piste for its width. Previous to that I had a Fischer Water 84 which I really enjoyed (more so then the Brahmas) and found gave more pop in turns on groomers compared to the Blizzards. I’ve also skied a Nordica Soul Rider 97 which I understand is quite a different kind of ski and found them a fun easy ski to ski on but didn’t get to try lots of different conditions. I tried last years Salamon QST99 for a day, which was noticeably lighter then the Brahma and found them to be very good but not great – perhaps I just needed more time on them. I’m wondering if the new Basalt layer this year will have given them some more of the stiffness/stability I’m used to in the Brahma? Reading this review of the Atomic BC 100 which you describe as being a good 50:50 ski gives me another ski to consider. I am skiing the Blizzard Rustler 11 in 188 with Marker Kingpin. I like it a lot and think it’s a good ski for various conditions but I find it a bit too big in more technical terrain or when touring. Do you think Bent Chetler 100 in 180 cm length would be a good complement for more form conditions, including groomer? I’m 5”8 tall with a weigth of 148 lbs. Thoughts on the 180 for a 50/50 ski for someone who I’d 6’1″ 180#? Is the 180 too short for daily driver for my height? Is the 188 annoyingly long to tour? How would these work as a Telemark ski? Looking for something a little more playful……. Hi, I am 5’8″, 75kg, advanced but not expert and after much deliberation went for the 172. I have for years being skiing Japan on Line SFBs from 2013. I still love them but wanted something for the not such good powder days / inbounds and skiing in Europe. Obviously the BC100s are a different ski but given that context where do you suggest I mount please? In the shorter size should I adjust your recommendation of 2.8cm forward of manufacturers recommendation (i.e. -5cm) to something slightly nearer (say -6cm)? Yes I’m probably overthinking this…. What bindings do you recommend for this ski? 70% tour 30% inbounds. Thinking Vipec….ATK? Another great review. I’m looking “one skis for everything”, I’m gonna mostly tour off-piste, but I want to use them on-piste too (so with Shift bindings). I’m considering these Atomics and QST 99. Which one would you recommend? I don’t want “boring” skis, so the factor of playfulness is quite important to me. Also, I’m 6′, 165lbs intermediate, from this two models, should I get 181 (180) or 188? In the Playfullness section you say that there are much better skis in the class for sliding across the fall line instead of pointing down the fall line. I was wondering what these skis were because that sounds exactly like the type of skiing I do. Curious how you would compare them to the Atomic Backland 109 (now 107). I rode the BC 100 180cm in mixed powder/packed powder and found them stable but poppy. Easy to turn, but could straight line sections when needed. A fun mix for an all mountain ski. However, I was skiing them in interior BC where the snow is cold and light. Most of my skiing is in the PNW and I would lean towards a wider waist for an everyday ski. Seems like the backland 107 might be a better fit. We just got the Backland 107, and based solely on its weight (~1650 g for the 182 cm), I highly doubt the Backland 107 would offer the same stability of the Bent Chetler 100, especially in heavy PNW snow. But that’s all conjecture at this point, so we’ll wait to confirm till we can post a full review of the Backland 107. Any thoughts that can help me ? How does the flex of the Bent Chetler 100 compare to the Bibby? The Bibby / Wildcat is significantly stiffer at the tips and stiffens quicker as you move to the middle of the ski, and the BC 100 might be a tiny bit stiffer at the very end of the tail, but overall, the Bibby / Wildcat feels like a significantly stronger ski. Thanks for info Luke. I’m 6 ft 160 lbs, and my daily drivers at the resort are Bibby 190 and PB&J 188. I really like how strong the flex is on both skis. I’ve got some Bibby Tour 190s as my pow touring ski, and would like to add a narrower touring ski to the quiver for the spring and longer days. Lately I’ve decided I want continuity in design, flex, mount point, shape etc throughout my entire quiver to keep everything intuitive, so I am basically trying to find a PB&J Tour. Since that doesnt exist, gotta find the next closest thing, and the Bent Chetler 100 looks pretty similar in its design just with less tail rocker/splay. But sounds like the flex might not be as strong. Was looking at the MTN Explore 95, but willing to take the weight penalty for better ski performance and get something closer to 1800 grams. Although, with Moment’s construction changes making their skis more lightweight, the current PB&J 188 is a stated weight of 1860 grams, so that might actually work too. Thoughts? I think the current PB&J could be a good option as it should be coming in close to its stated weight of 1860 grams. The Moment Wildcat Tour 108 would also be worth a look for a lighter alternative that’d still feel very intuitive coming from your current skis. Lastly, the 4FRNT Raven might also be worth checking. Its reverse-camber profile and slightly softer flex in the tips will feel a bit different, but its mount point is similar and we have a few reviewers who love both the Raven and the Moment Bibby / Wildcat. Thoughts on the 180 for a 50/50 ski for someone who I’d 80kg 180cm? Is the 180 too short for daily driver for my height? Is the 188 annoyingly long to tour? So i just bought the BC 100’s 180cm. I bought the WARDEN MNC 11 bindings and at the moment i have a dilemma whether i should mount those bindings on the factory recommended line (-7,8cm) or up those 2 centimeters to -4,8cm just like Luke has tested and is more found of.